spring prevents the line from going out. Spare Dyneena Loops are available. 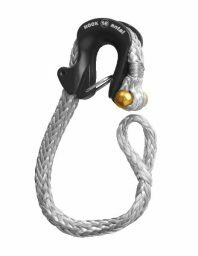 Dyneema Loop safety factor (breaking load / safe working load) = 3.